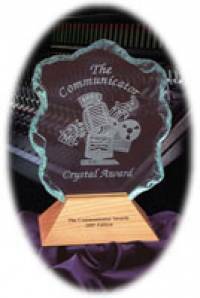 A series of four radio messages produced by the Canadian Coast Guard Auxiliary has won an Award of Excellence at the 2005 Communicator Awards - Audio Competition. The Award of Excellence is given to those productions whose ability to communicate puts them among the best in the field. In 2005, there were 1,369 entries submitted in the competition. The CCGA was one of two winners from Canada.